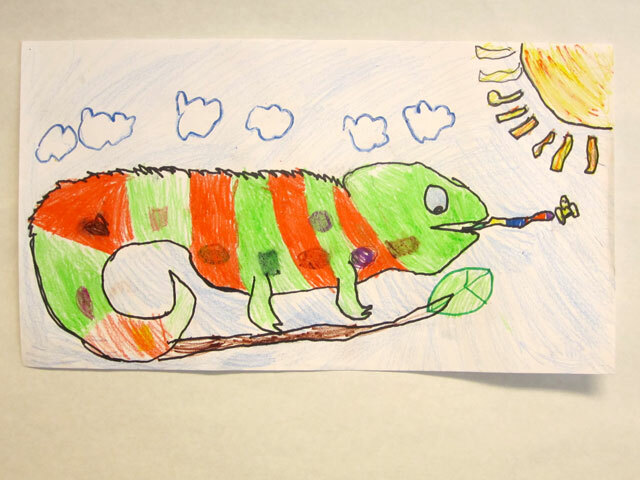 At the start of this lesson I either read “The Mixed Up Chameleon” by Eric Carle, or “A Color of His Own” by Leo Lionni to the students. 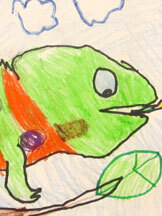 After exploring the illustrations we look at photographs of chameleons and compare their similarities and differences. 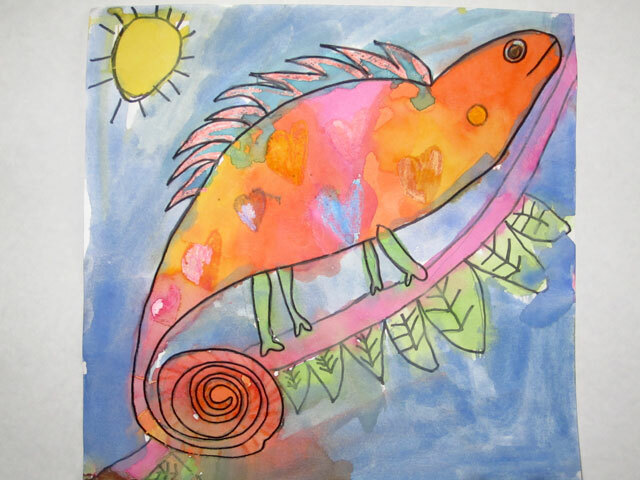 Children make several sketches and transfer their best to large paper. 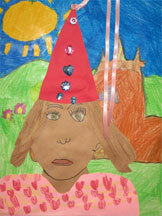 Using crayon students trace the outline, details, and patterns in their work. 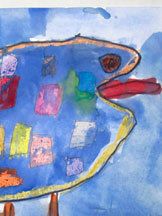 Finally they use watercolors to paint in the remaining white areas. 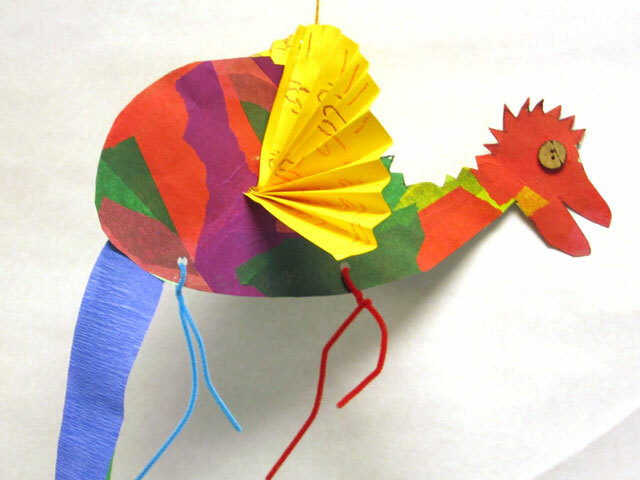 First grade students were presented with examples of dragons in different mediums, time periods and from many cultures. 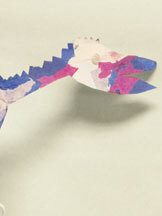 We also read several children’s storybooks about dragons. 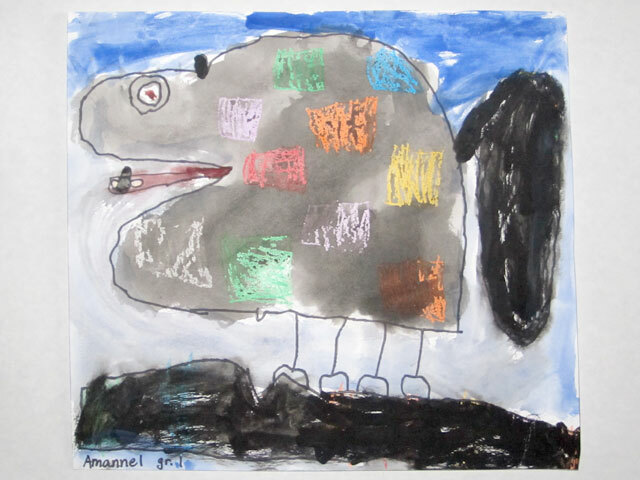 The first thing the children did was draw their dragon on a large sheet of tag board. 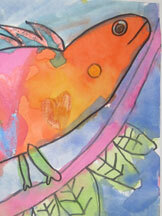 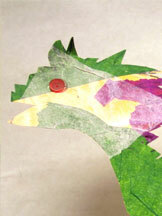 Next they covered their drawing with a thin coating of colored tissue paper and glue water. 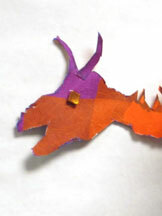 Then they coated the back. 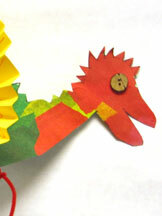 In the next class the children cut out their dragons and added details to personalize them. 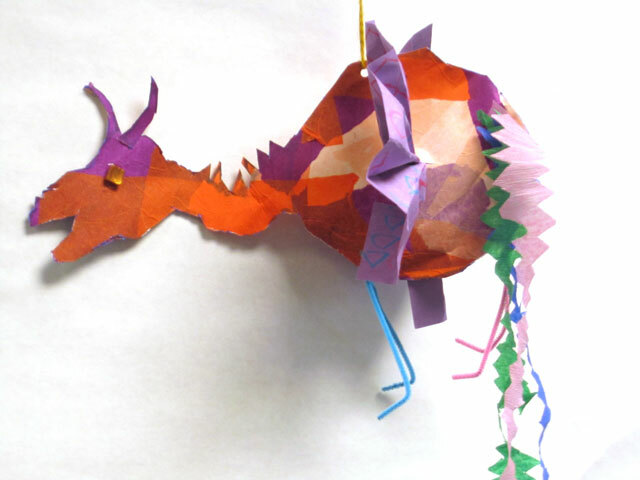 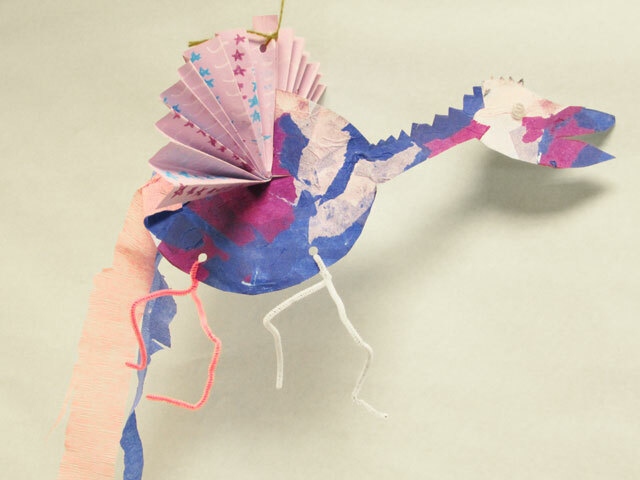 They included things such as patterned wings, cut paper tails, legs, eyes and sometimes horns. 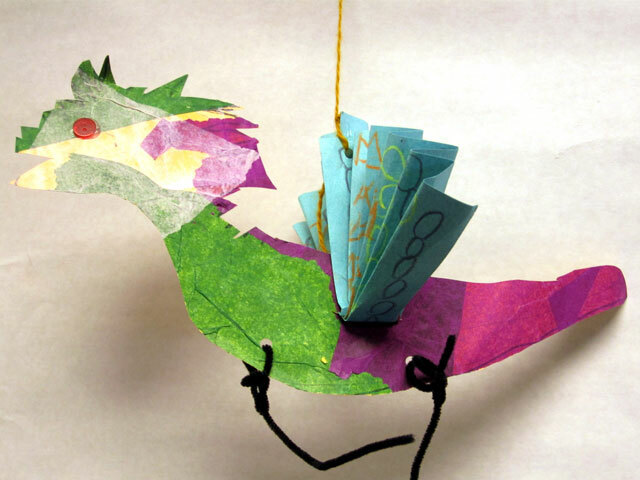 Many students named their dragons and attached a string for hanging them when they got home. 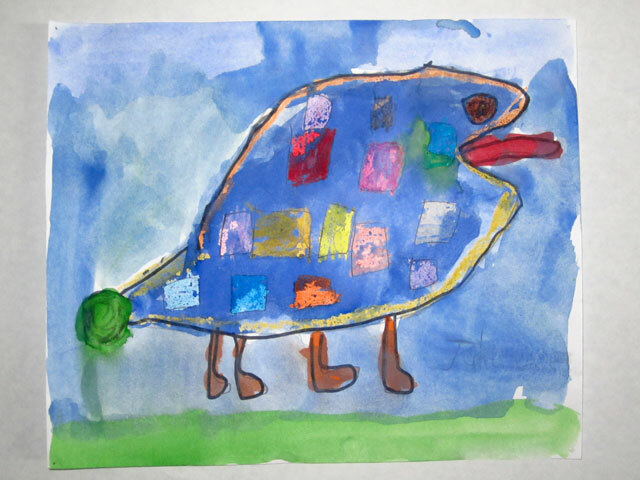 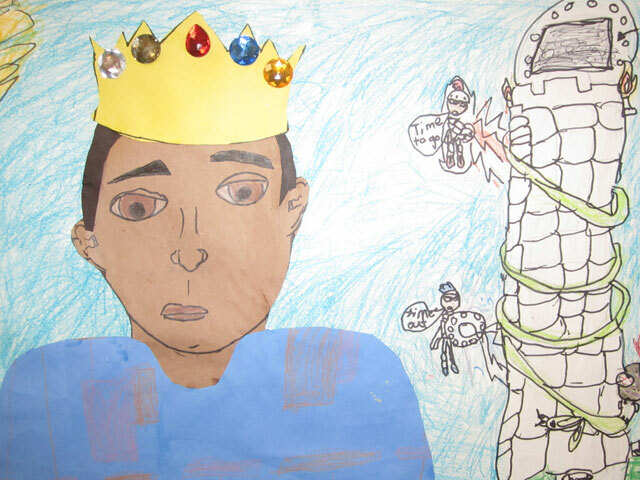 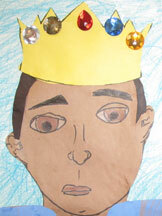 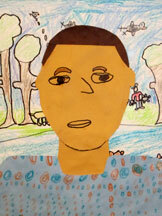 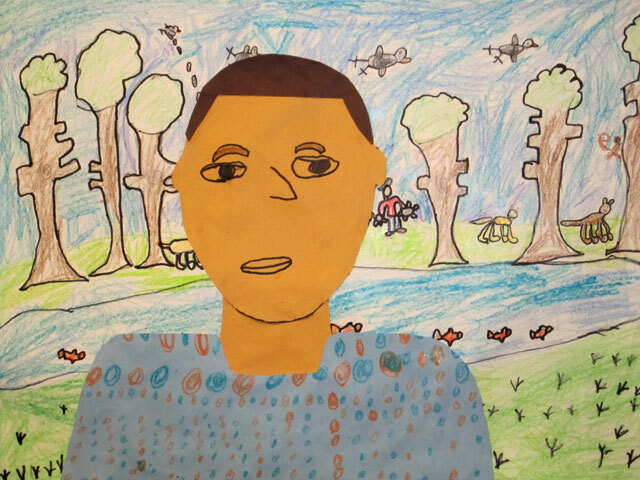 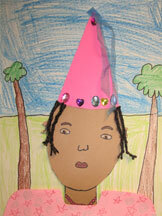 First grade students made an observational self-portrait of themselves. 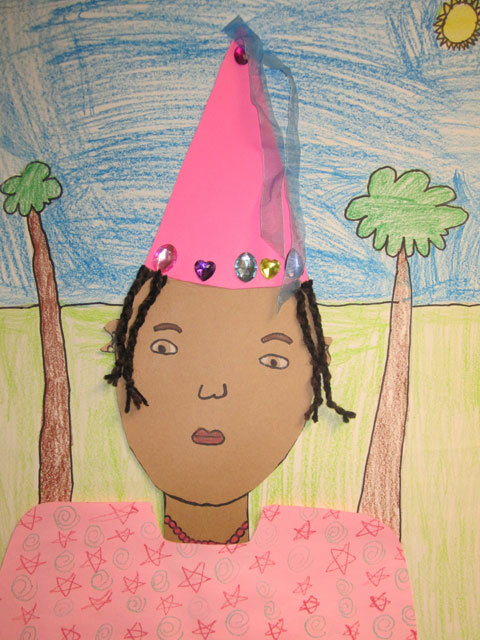 Then they made a costume from paper to turn themselves into an imagined character. 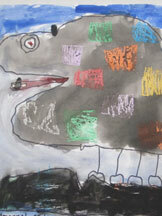 The environments of their compositions were drawn to further support the character they made themselves into.